This COB keychain’s light features modern COB (chips on board) technology—providing brighter lighting, plus the long life and energy efficiency of an LED bulb. The keychain light operates in your choice of two modes: constant light or flashing light, which is great for emergencies. 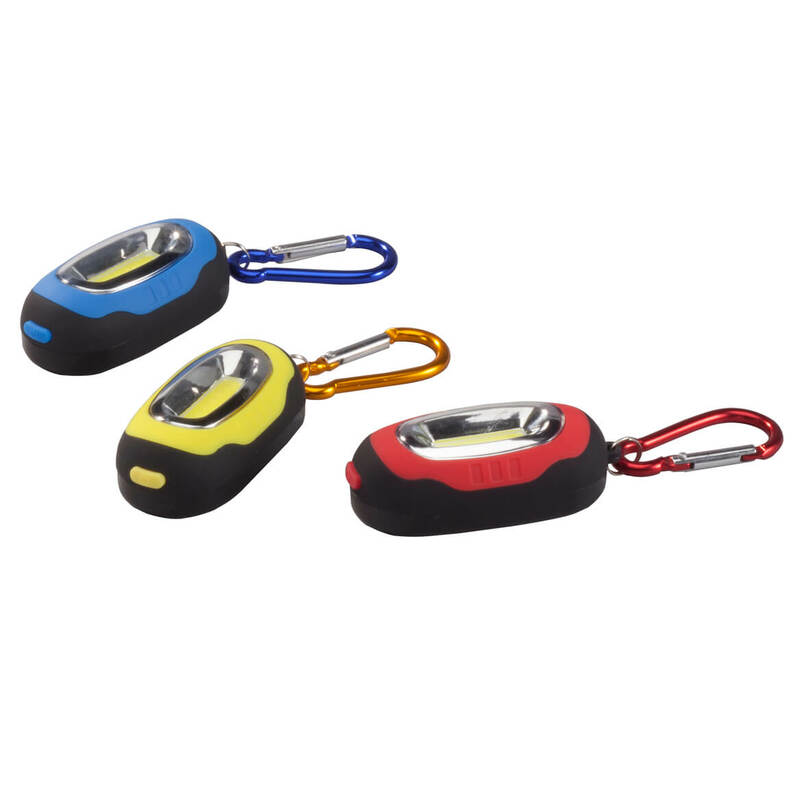 Offering safety and convenience for evening walks, camping trips, auto travel and more, the keychain’s flashlight also features a built-in magnet on back, so you can easily store your keys right on the fridge or inside a metal locker or file cabinet. The set includes 3 plastic/metal keychains in blue, green and red. Each light uses 2 AAA batteries (not included). Light: 3″ x 1 1/2″. Key clip: 2″ x 1/2″.